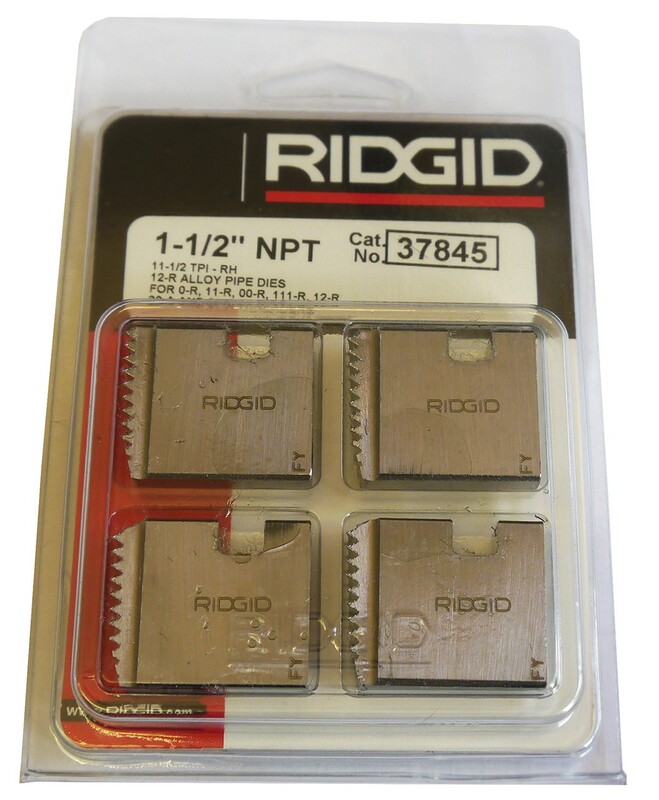 1 1/2" NPT Ridgid Rethreading Dies. 11-1/2 TPI-RH. 12-R Alloy pipe dies. For 0-R, 11-R, 00-R, 111-R, 12-R, 30-A & 31-A threaders.